Robert G. Ingersoll, orator, lawyer, politician and Civil War veteran often called ‘The Great Agnostic’, was a very famous man in his time but rather forgotten today. He was born on August 11, 1833 and died almost 66 years later. Among other things, he was a vocal and consistent advocate for abolitionism, women’s rights, freethought, and scientific progress. While very liberal and broad-minded, he was a dedicated family man. While his views are as progressive as could be for a person if his time, he was what we might call a square. Besides his unabashed and very public religious skepticism, he lived a life that even Victorian standards would consider altogether decorous and blameless, despite frequent attempts to discredit his views by finding something scandalous to publish about his personal life. Ingersoll was a great friend of many of the era’s most interesting and influential people including Walt Whitman and Thomas Edison, who made two recordings of his voice with his new invention, the audio recorder. He was also an admirer and promoter of the memory of Thomas Paine. Though Paine was a founding father of the American cause for independence with his great pamphlet Common Sense and other writings, he had long fallen out of favor in American public memory following the publication of The Age of Reason, his diatribe against religious orthodoxy and superstition, as he perceived it. In the time Ingersoll enjoyed fame as an orator, freethought ideas had become more acceptable as a matter of public discourse. It was still generally unacceptable to be an out-and-out atheist, but even these could become popular speakers if they were eloquent and interesting enough. In fact, they were often considered novel and exciting, and free speech was enjoying one of its heydays in the United States in this period sometimes called The Golden Age of Freethought. This was a time when public speakers provided a very popular form of entertainment. Many of that era’s important thinkers and activists made their living, or much of it, through public speaking: Ingersoll himself, abolitionist and civil rights leader Frederick Douglass, and feminist, atheist, and civil rights activist Ernestine Rose among them. Rose was also a famous orator in her day, pre-dating Ingersoll by almost a generation but like him, eloquent, witty, and a champion of Paine. She generally spoke only of topics related to her social justice causes, but Ingersoll and Douglass, like many famous orators, spoke on a wide range of topics such as Shakespeare (both men were big fans), science, politics, and much more. For more about the eloquent and brilliant Ingersoll, please see the links to excellent online sources and to my own writings about Ingersoll below. Last year, I followed the lives and ideas of Robert Ingersoll, Frederick Douglas, and Abraham Lincoln in Peoria, Illinois, where Ingersoll lived and worked for many years; all three men admired and were inspired by one another. It was a most fascinating journey. The French Revolution was not enough. Mary Wollstonecraft wanted something more. She declared war against the patriarchy. She called for nothing less than ‘a revolution in female manners’. This revolution was not about how to set up or sit at the dinner table. It rather sought to overthrow the system of socialisation that made men and women prisoners of each other’s tyranny, rather than the virtuous companions whom they were meant to be. Wollstonecraft identified education as the culprit behind the inequalities between men and women. Education influenced every aspect of life, for it began in the crib, long before one learned language or went to school. Parents gave dolls and mirrors to infant girls, while letting baby boys toddle freely outside. These gross differences in the socialisation of young children, Wollstonecraft saw, bore consequences that could hardly be overstated. ‘The grand misfortune is this,’ she soberly noted, ‘that they both acquire manners before morals, and a knowledge of life, before they have, from reflection, any acquaintance with the grand ideal outline of human nature.’ Yet people applauded the difference in manners that education produced between the sexes. Women came to see and present themselves as weak and meek, and all the more attractive to men for it. Women’s ‘rights and manners’, she insisted, must be considered alongside each other. If women were raised to see and treat themselves as mere toys and playthings of men, then they could not possibly avail themselves of the historic opportunity for civic engagement that the French Revolution had brought to them. To bring women’s ‘rights and manners’ into concert, people had to reconceive ‘rights and duties’ as inseparable. Into the narrow rights talk of the time – the ‘rights of man’, the ‘rights of men’ – Wollstonecraft infused a rich vocabulary of ‘rights and duties’. A Rational Christian Dissenter, she derived all rights from fundamental, God-given duties. Like Immanuel Kant, however, she never claimed that all duties generate a corresponding right. In her system of ethics, duty enjoyed moral primacy. Wollstonecraft’s moral emphasis on duty animated her revolutionary politics. In order for women’s rights to be respected, men had to fulfil their duties to respect their wives, daughters, mothers and other women in their lives. Women had to learn self-respect, and to seize more than the few, meagre opportunities that patriarchal society had availed them. Once women and men together exercised their duties for respect of self and others, they would be psychologically and socially capable of respecting and recognising one another’s rights in law and culture. Wollstonecraft’s theory of equal rights and their political realisation requires a transformation of how men and women perceive and relate to each other. No longer could men view women as weak and dependent creatures, or mere toys and playthings for their sexual pleasure. No longer could women view men as their lords and masters, the rulers of their entire way of life. It began with a change in self-understanding, for both men and women. A psychological change of such depth would require reform of education on the deepest level too. Only comprehensive education and religion could accomplish this kind of change. Wollstonecraft was a governess, a primary school teacher, and a disciple of the Dissenting Christian minister and abolitionist Richard Price. From these experiences – ordinary and extraordinary – she learned how to bring education and religion together to advance a cultural revolution that would make Burke quiver. It would push women to stand up and speak out alongside men as moral equals – deserving of the same civil and political rights and bound by the same God-given duties. As we contest our own patriarchs in media wars on the internet, it is still time to heed her revolutionary message. The dedication and introduction of Wollstonecraft’s book lay out the first steps toward bringing down the patriarchy for the betterment of all humanity. 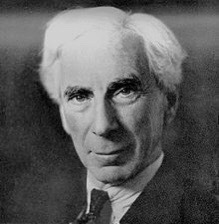 Bertrand Russell lived an extraordinarily long life, in which he did an extraordinary number of extraordinary things. For myself, he was particularly influential to my younger freethinking self, disenchanted with the religion of my youth and seeking new and more satisfying ways of viewing the world. I read his History of Western Philosophy and Why I Am Not a Christian each several times over. I admire his clear, precise thinking and his principled anti-war stance which came at a significant cost, including jail time and loss of a prestigious job at the University of Chicago, and it’s always so enjoyable to watch him speak (you’ll find plenty of videos on YouTube) in his oh-so-aristocratic accent with a pipe often tucked into the corner of his mouth. He was not a perfect man, but he was never a less-than-fascinating one. Margaret Fell was born on some unknown date in 1614, so let’s take this occasion to remember her on the date of her death, April 23rd, 1702. Fell’s lived a life as passionate as it was long. She was an unconventional thinker for her time, a zealous and progressive religious activist at times imprisoned for her beliefs, a prolific writer, well-traveled, a mother of eight children and a wife twice. An early adherent and eloquent promoter of Quakerism, Fell is now considered one of its founders. She converted to Quakerism after hearing a sermon by one of its most charismatic preachers, George Fox, and almost immediately launched into a lifetime of hosting Quaker meetings and speaking out on behalf of her new religion. After her husband died some years later, Fell married Fox, probably more as a co-missionary than as a romantic partner since their work, travels, and imprisonments kept them apart for much of their marriage. As I’ve had a lifelong fascination with the history of human rights, I’ve long admired the Quakers because, along with Unitarians and Deists, so many have been leaders in the struggle to expand, establish, and promote them. That’s because these faiths emphasize the importance of individual conscience, the primacy of the human mind, God’s rational nature, and the moral equality of all human beings. Fell believed in the Quaker doctrine of the Inner Light which God has caused to shine equally in the hearts of all beings; all we need do is heed it. Therefore, one does not need ministers, priests, or any other authorities or intercessors to achieve salvation. And because God has created everyone for the same purpose and gave everyone that light, everyone is spiritually equal and capable of understanding and proclaiming the Truth. We can see how this doctrine, central to Quakerism, readily aligns with human rights movements centered on a belief human spiritual and intellectual equality. The right of women to speak in church and write religious texts, in her time limited to men, was a cause particularly dear to Fell’s heart. 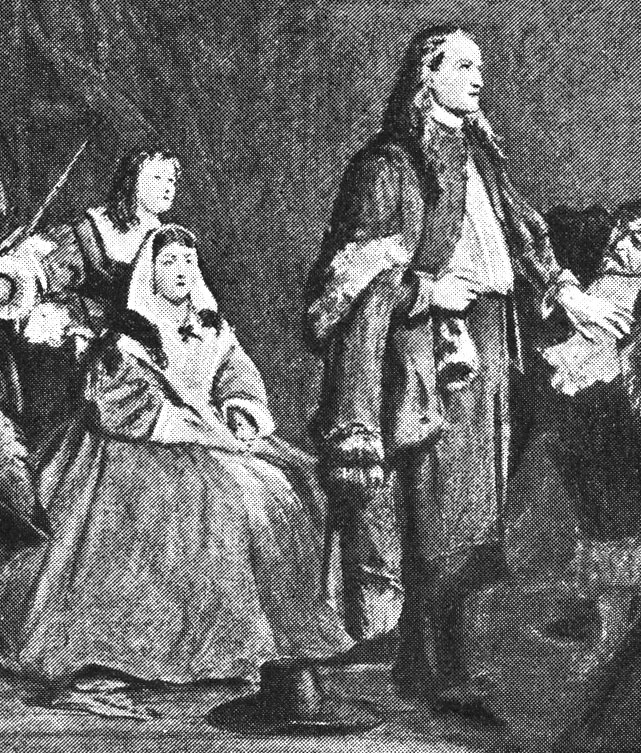 While Fell’s belief in the equality of women was limited to their role as spiritual beings, Quakerism tended to encourage ever-more progressive beliefs in its adherents. Over time, many Quakers came to be leaders in the abolitionist and pacifist movements, promoting the right of all to receive equal and universal education and for women’s rights in social and political spheres as well. In light of her achievements as a female religious pioneer, and the human rights advances facilitated by the Quaker faith she helped found, Fell’s contributions should continue to be remembered and celebrated. After my visit to the Old State House, I notice one of those Looking for Lincoln historical placards on a building to my left as I walk towards my next destination. It’s an attractive three-story red and yellow brick Italianate building from the later 1800’s, too late to be from Lincoln’s time. I draw near and read the placard and the small house-shaped bronze plaque near it. Abraham Lincoln portrait head, cast of Gutzon Borglum model for Mount Rushmore at Tower Park, Peoria Heights. Other versions of this sculpture are at the Abraham Lincoln Presidential Library, the Lincoln Tomb, and the Rotunda of the U.S. Capitol Building in Washington, D.C. I awake in a spotlessly clean, perfectly comfortable, aggressively unimaginative Motel 6 hotel room on the north end of Peoria, Illinois. I’ve noticed that Motel 6’s are much better than they used to be when I was a child and young adult, at least in terms of cleanliness and amenities. They were never glamorous, but they now have less character. For many years, for example, the beds sported these wonderfully colorful blankets printed with stylized images of famous cities and landscapes all over the United States. Now, the rooms and draperies are beige highlighted with rust-orange, furnished with the plainest of midcentury-style designs, angular objects only occasionally relieved by a sleek curve here and there. My term for this sort of accommodation is ‘people storage’: strictly utilitarian, uninspired, and uninspiring. Perhaps that’s a good thing for my purposes: I fled the room as soon as I could to place myself in a more interesting environment. Still, I’m irritated as I so often am with modern architecture and interior design. Why have we stopped bothering to go on artistic flights of fancy, then directing the inspirations found there towards making these things beautiful?